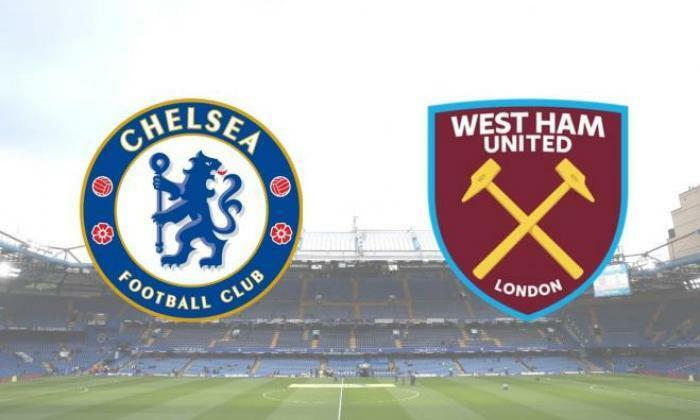 Afternoon Ladies and Gentlemen, Apologies for my absence in recent weeks, but I’m back now and excited for the trip across London to visit Chelsea. Not the perfect place to go after suffering a poor home defeat to Everton. But I always look forward to playing Chelsea and this year even more so as I really do not think they are as good as they have been in recent years. The players seem to have one eye on their summer holidays at the moment, performances have not been good and it seems like our chance of finishing in the top half let alone 7th are fading away. I just hope the players can pick themselves up for two more games. Tonight and Tottenham away, they are big games for the fans and should be for the staff and players as well. Inconsistency is the key for West Ham as has been mentioned many times before. 3 wins and our last 6 games and 3 defeats says it all for us this season. We have not drawn many games and seem to blow hot or cold too much. I’m sure the manager realises this and will have the off season to get more of the players he wants in and more of the ones he doesn’t out. Plus the return of players from injury will help strengthen the squad. Keeping them fit is the hard part as has been proven with Andy Carroll over the years who quite likely has played his last game for the club. It hasn’t been a great stay for the big man who signed for the club in 2013 but has rarely been on the pitch. There were some highs when he was fit to play but unfortunately it wasn’t enough over the years. Chelsea might be missing midfielder Loftus-Cheek due to a back problem and Alonso will have a fitness test as well. But apart from that they should be full strength. The good news for West Ham is that Nasri, Frederiks and Anderson have all been training with the squad this week and should be ready to play if selected. Reid, Yarmolenko, Sanchez, Wilshire and of course Carroll all miss the game and only Wilshire could really feature again this season after coming through a midweek u23’s game recently. Chelsea though have been in a good run of form of late. While they are outside the Champions League places at the moment, a win tonight would see them overtake Arsenal. That will be great for them, I’m sure, But maybe some of the players have an eye on their European League game in 3 days times against Slavia Prague. Chelsea : Arrizabalaga, Rudiger, Luiz, Emerson, Azpilicueta, Kante, Jorginho, Barkley, Hazard, Higuain and Willian. West Ham United : Fabianski, Fredericks, Balbuena, Ogbonna, Cresswell, Rice, Noble, Lanzini, Anderson, Arnautovic (wide right) and Hernandez. The return of Balbuena will be a welcome boost to the team but it’s upfront I feel the big choices need to be made I have defended Arnie on here most of the season but even my patience is running out with him he needs to start showing just how good a player he is. Less talk more goals. I would love for us to take the 3 points in this game but I just cant see it and would be happy to see a good performance and a goal to Arnie. If thats enough to get us a draw then great but I expect them to have a bit too much and win 2-1. Again I really hope I’m wrong.